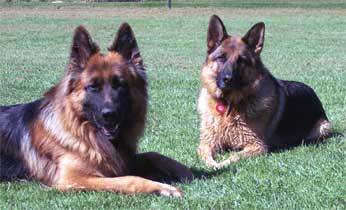 My 4 year old girl Keva and her very best friend 3 years old Aramis. They work together on tracking, scent, agility , obedience and anything else we can think of! Then AFTER working they get to play.